Astragalus has been studied in treating different forms of the nephrotic syndrome and has shown promising results. In two different studies, it was effective at significantly lowering the protein levels in the urine. It may be even be effective for the many different causes of proteinuria. In a laboratory-based study, it showed benefit in reducing the levels of protein in early diabetes nephropathy. For people who are on potent medications that lower the immune system, it may help reduce the risk of infection, as well. Further study is needed, but this herb has great potential in the treatment of nephritis and in lowering proteinuria. The optimal dosage of astragalus is not yet known. In the one report, the dosage was started at 15g per day. The dosage is important because different amounts may have different effects on the immune system. It also depends if you are using the root or the extract. Further study is needed, but astragalus seems to have many healing benefits. 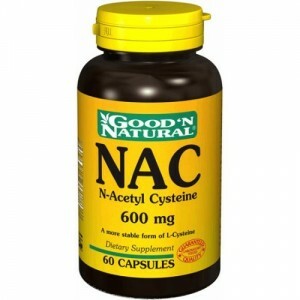 NAC has traditionally been used for the treatment of acetaminophen drug overdose. It is also given to most people with CKD before going for any type of imaging study or procedure involving the use of contrast dye. A potent antioxidant and anti-inflammatory drug, NAC has been studied for the treatment of other forms of nephritis, as well There is actually a clinical research trial to be done that is examining NAC and another herbal supplement, milk thistle, for the treatment of diabetic nephropathy. The optimal dose for NAC is not known at this point. However, in studies looking at the kidneys' protective effects before having any contrast dye-related study, the minimum dose was 600 mg twice daily. Doses of 600 to 1200 mg twice daily are generally safe with only mild nausea and stomach upset as common side effects. It also has a rather unpleasant smell that can make it intolerable to some people. An interesting question regarding NAC is whether long-term use can protect the kidneys over months or even years. It has excellent potential, but more studies are needed. Buchu is used to help treat water retention and urinary tract infections, but it may irritate and be toxic to the kidneys. Buchu is not to be used at all if you have kidney disease. Corn silk is used to treat kidney and bladder infections. It is also used for water retention and it may lower potassium levels. However, be careful of using it in CKD, because both kidney function and electrolyte levels can be affected. The optimal dosage for corn silk is not known, but it is suggested that as little as 4 g can be made into a tea. Whether this dose has to be reduced for kidney disease is not known. Cranberry has been shown to be of benefit in the prevention of urinary tract infections, and it may also decrease the risks of kidney stones that are associated with urinary tract infections. It has minimal side effects and people generally tolerate it very well. Cranberry can be taken in several forms, including capsules or juice. To prevent urinary tract infections, a common recommendation is 10 to 15 ounces of pure cranberry juice daily. Another option is two take two, 300 or 400 mg capsules daily. Dandelion root is used for the treatment of infections of the urinary tract. It works like a diuretic and has some anti-inflammation and anti-oxidant activity. It can also have an effect on lowering blood pressure. As it contains potassium, I would hesitate to use dandelion root in advanced CKD given the risk of high potassium and dehydration. There are various dosage regimens and ways to administer dandelion root, including capsule form. It is unknown if the dose needs to be adjusted for kidney disease, but I would use the lowest dose possible. Avoid using this if you have stage three CKD or greater, given the possible effects just listed. To find out more, you can check out Herbal Remedies For Kidney Disease.